Are you on the hunt for reliable window contractors to complete an installation at your home in Fort Walton Beach, Florida, or a neighboring community? If so, you can end your search with Majors Home Improvement, an honest and professional window contractor that has served the region since 1997. 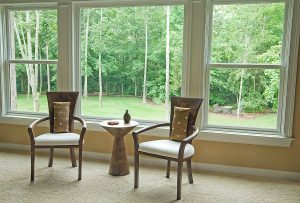 We install durable, energy-efficient Majors Select™ Vinyl Windows in all of the most popular styles, including double hung, casement, picture, storm, and bay. What’s more, our windows can be beautifully customized with exterior colors, interior wood-grain finishes, grid and glass designs, and hardware. A complimentary design consultation with one of our expert consultants who will work with you to help you choose the perfect windows for your home. An honest and firm estimate for your project; we’re so confident in the value we provide that we encourage our customers to seek out comparison quotes from other window contractors. A prompt and unobtrusive installation crew that will work tirelessly on your window installation, being mindful of your pets, home, and landscaping while they work. A double lifetime warranty for your replacement windows that covers both the material and labor. It’s easy to see why Majors Home Improvement is preferred over other window contractors in the Fort Walton Beach, FL, area. If you want to work with a company that will go above and beyond for your window installation, contact us today.